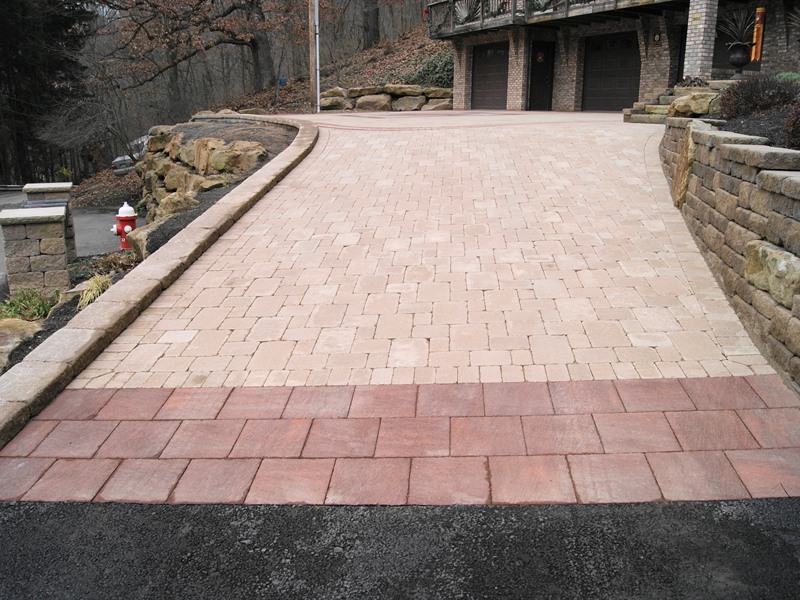 Concrete pavers are a popular choice for driveways, sidewalks, patios, and pool surrounds. 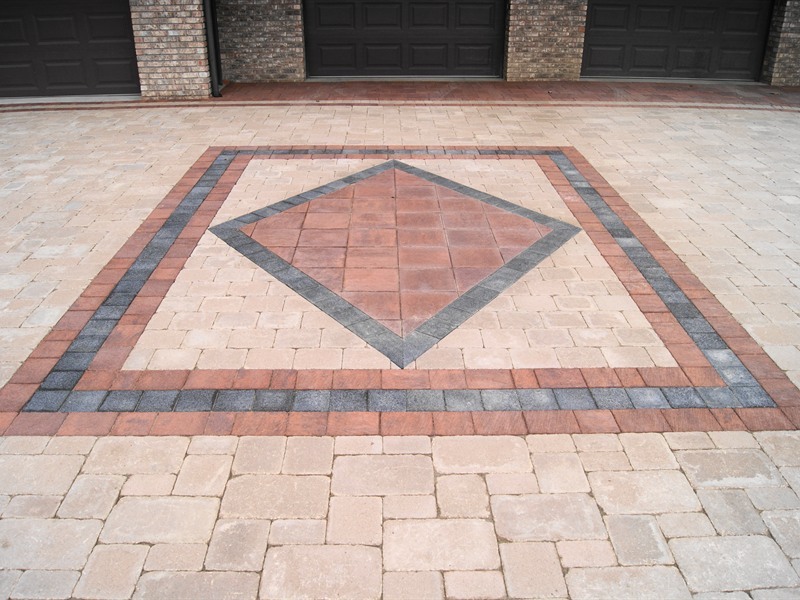 Pavers are manufactured to high standards, creating a durable product that can actually create a stronger surface than traditionally poured concrete. 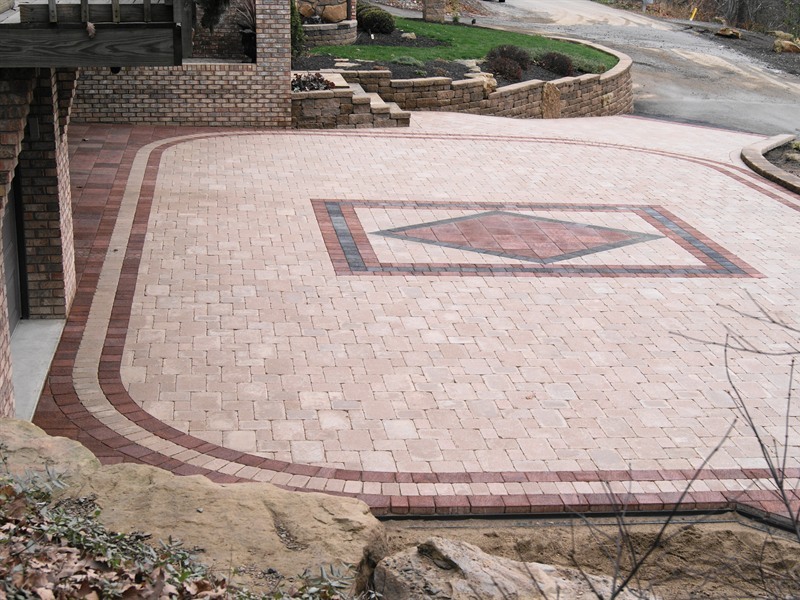 They come in an almost unlimited variety of shapes, styles, patterns, and colors, giving plenty of choices to allow a unique area that complements the house and landscape. 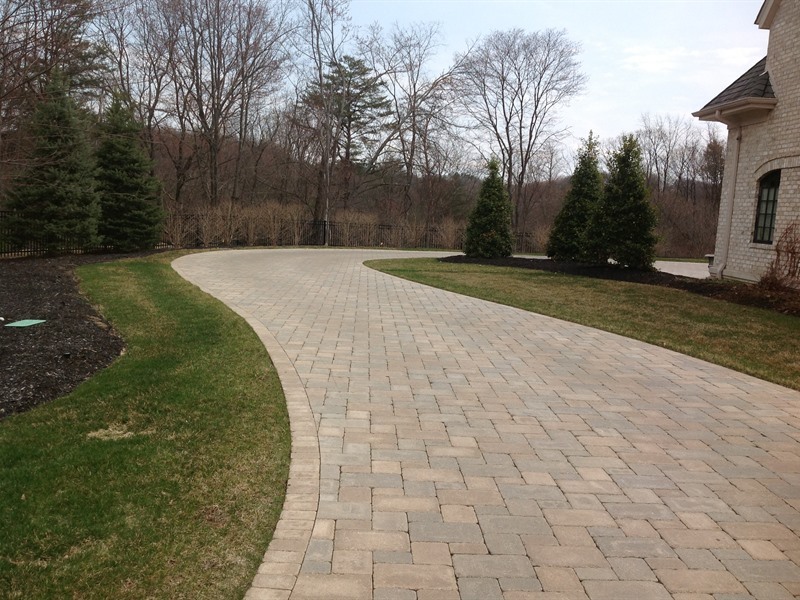 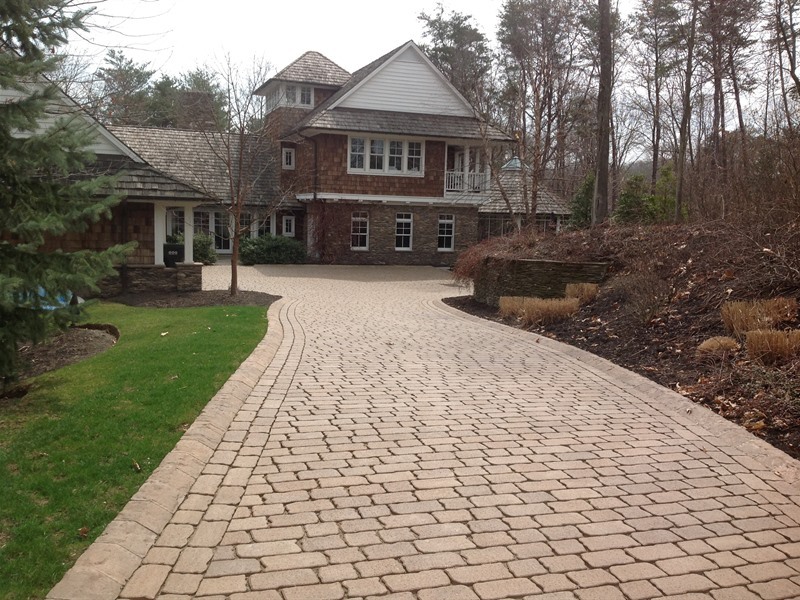 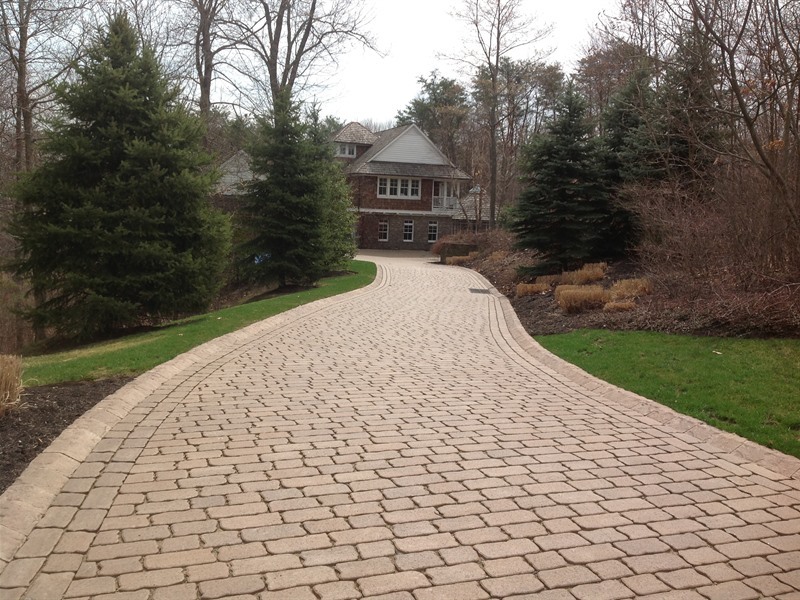 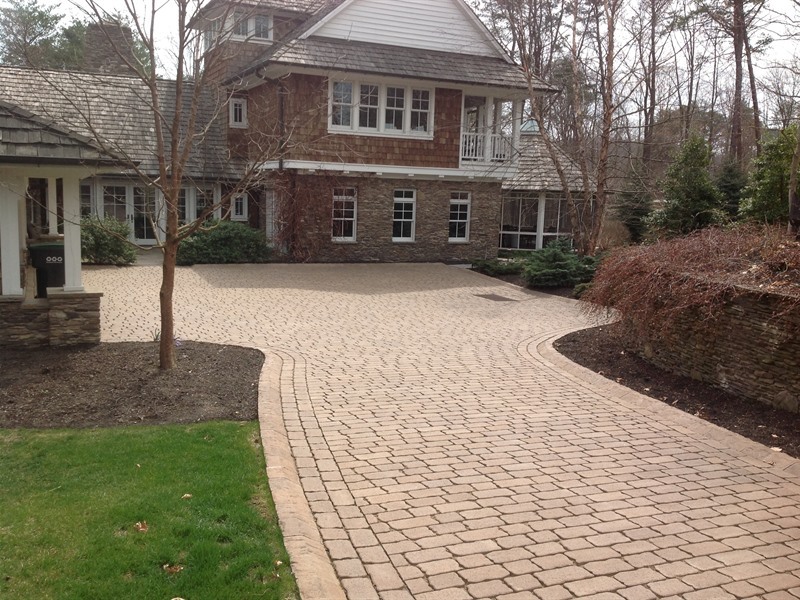 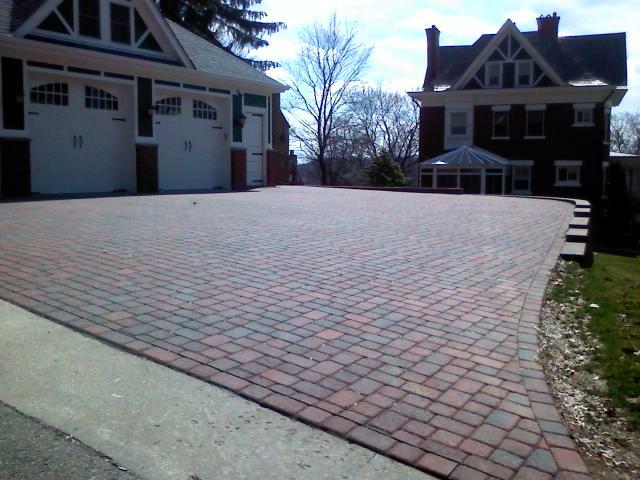 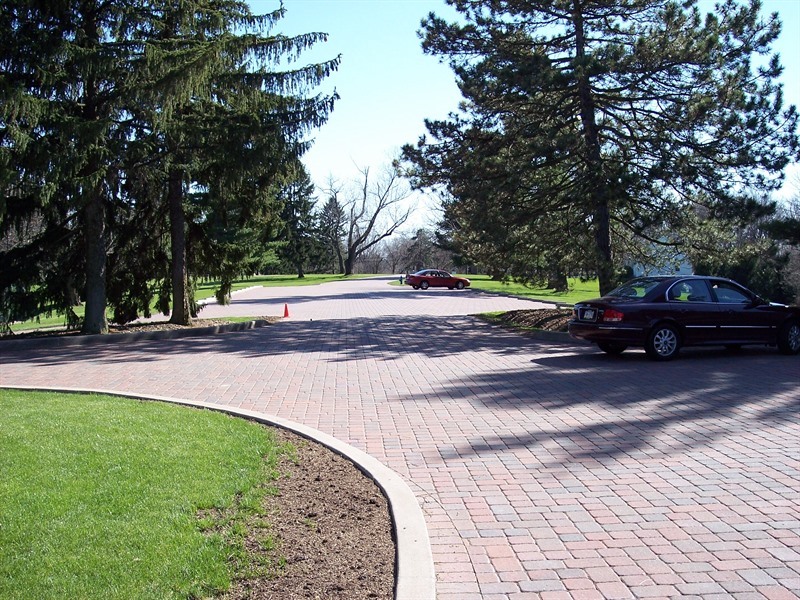 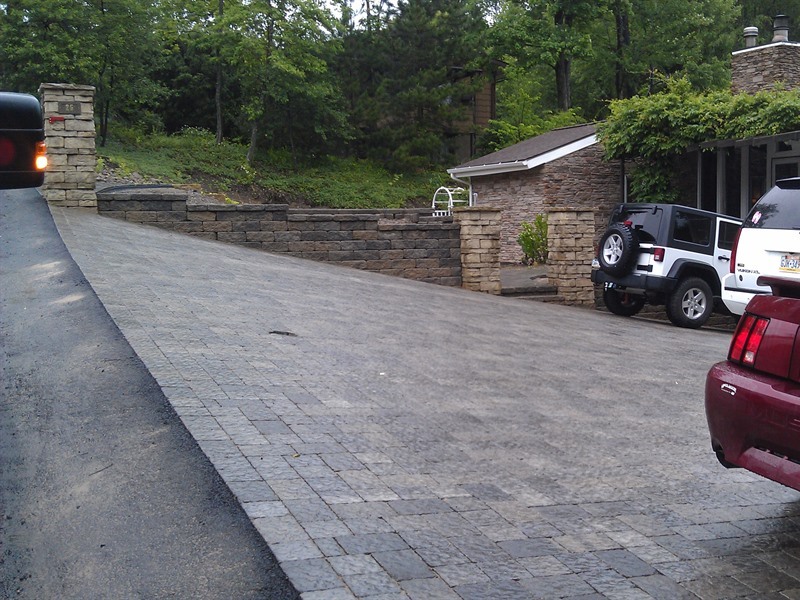 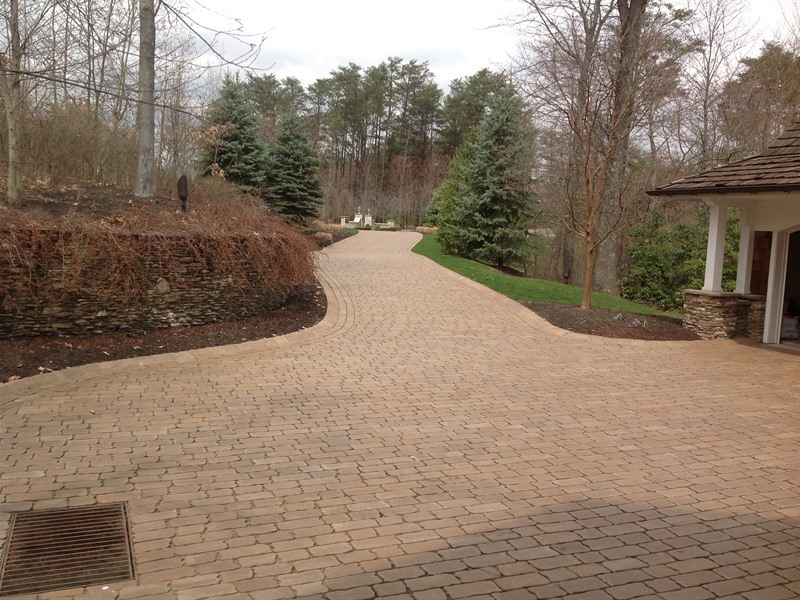 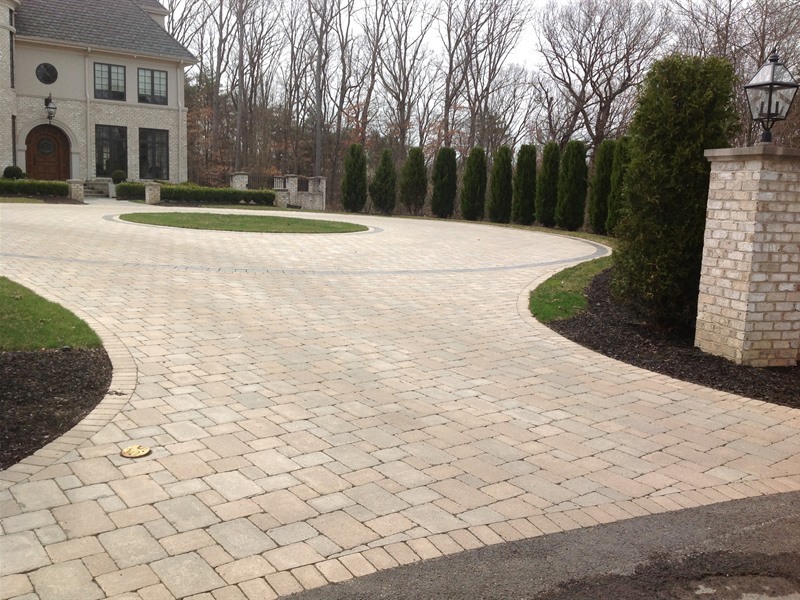 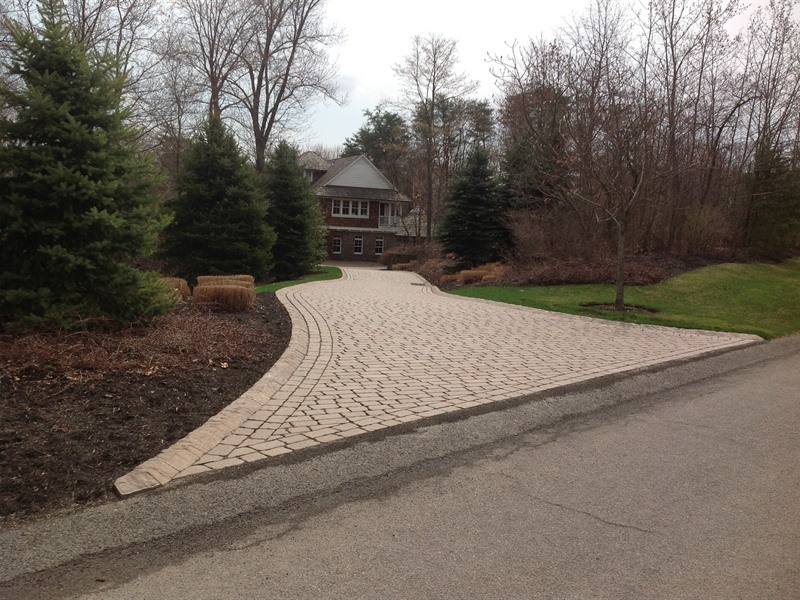 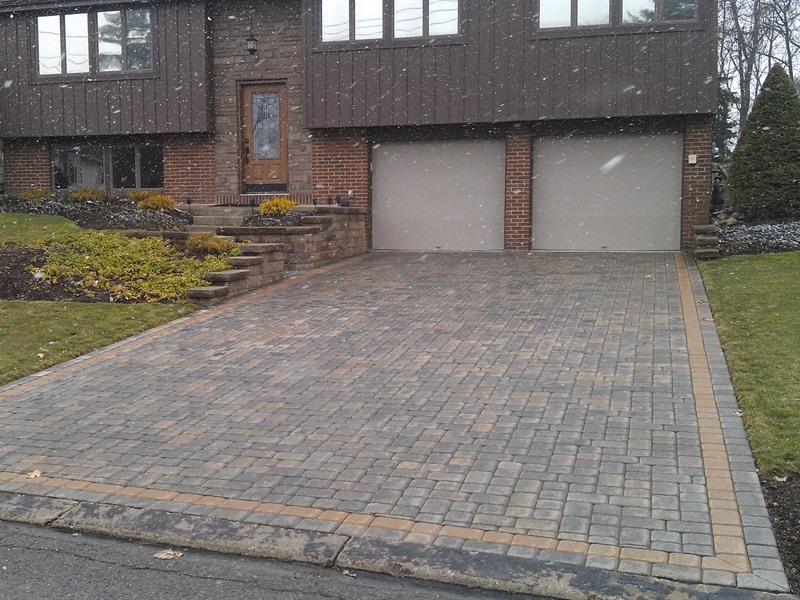 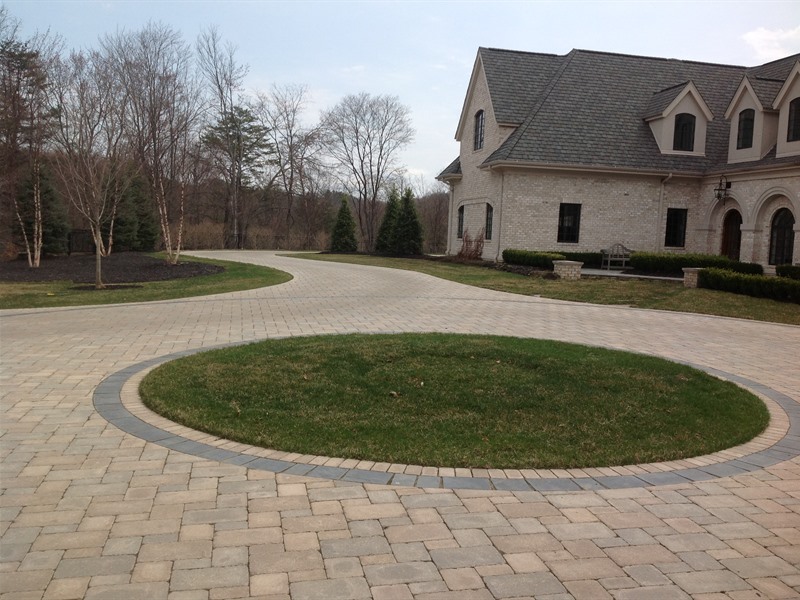 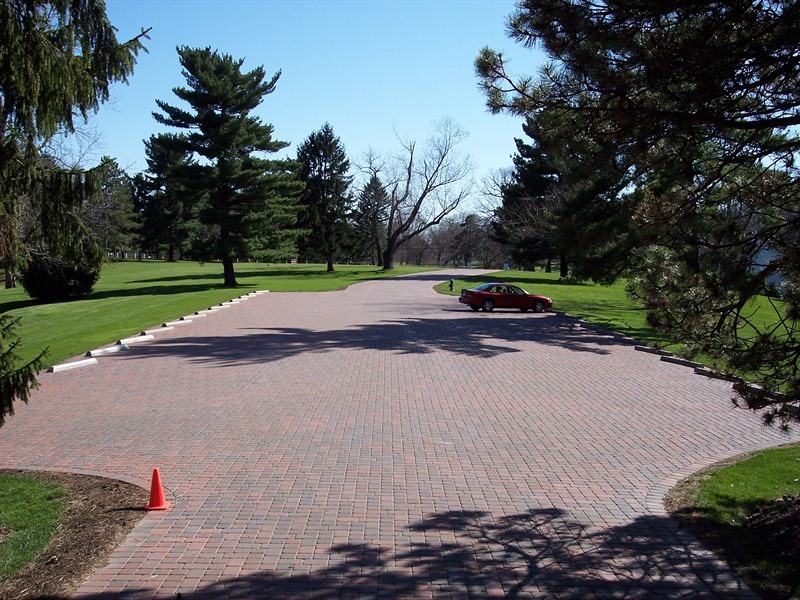 Pavers used for driveways are usually interlocking, which both speeds the installation and strengthens the surface. 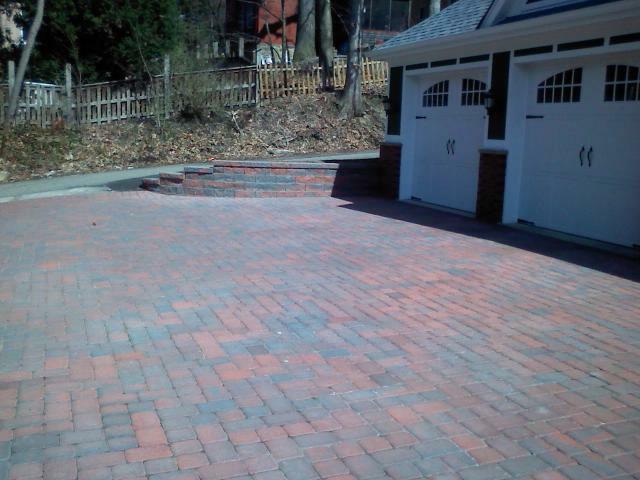 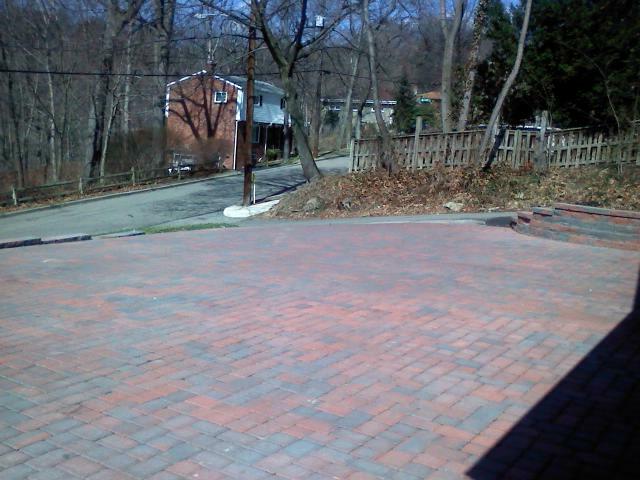 Another benefit is that individual "pavers" can be removed and replace, if necessary. 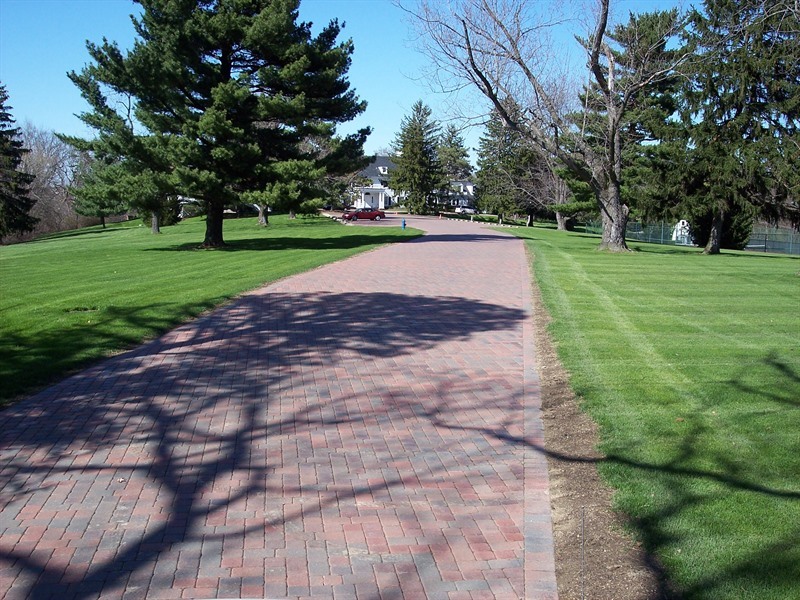 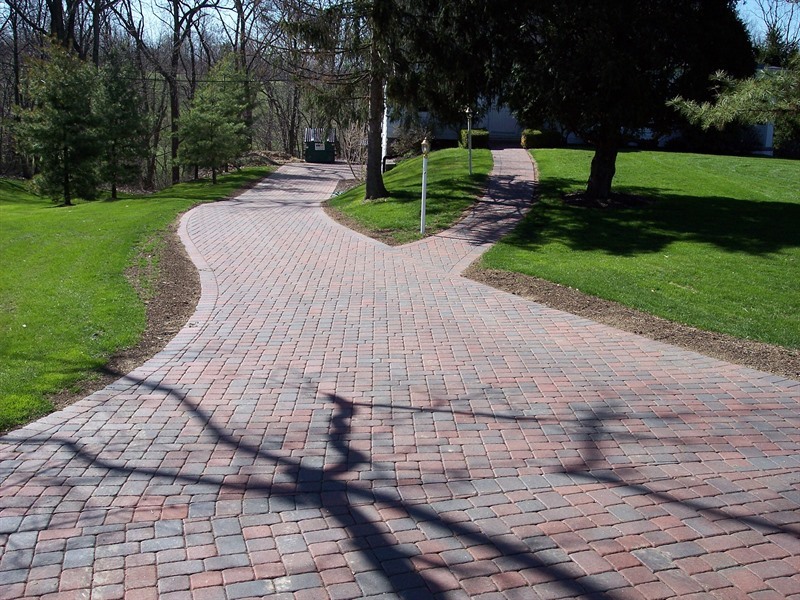 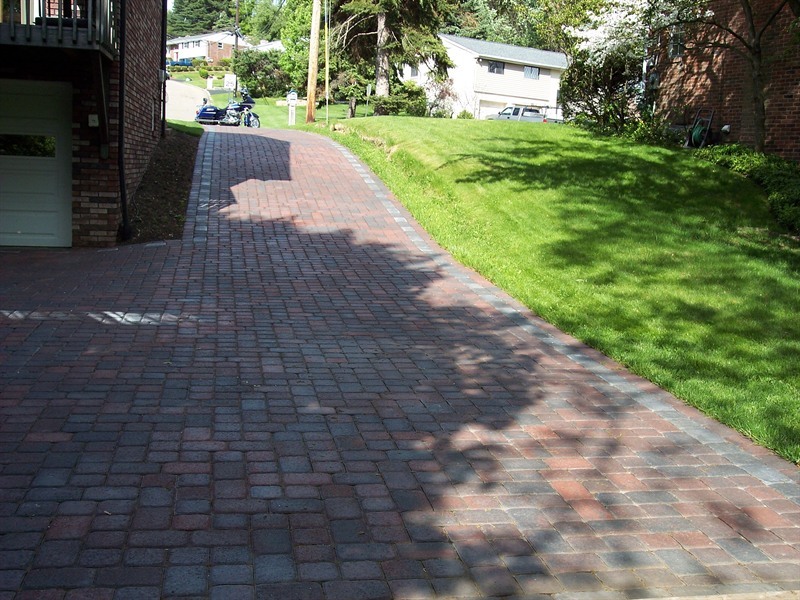 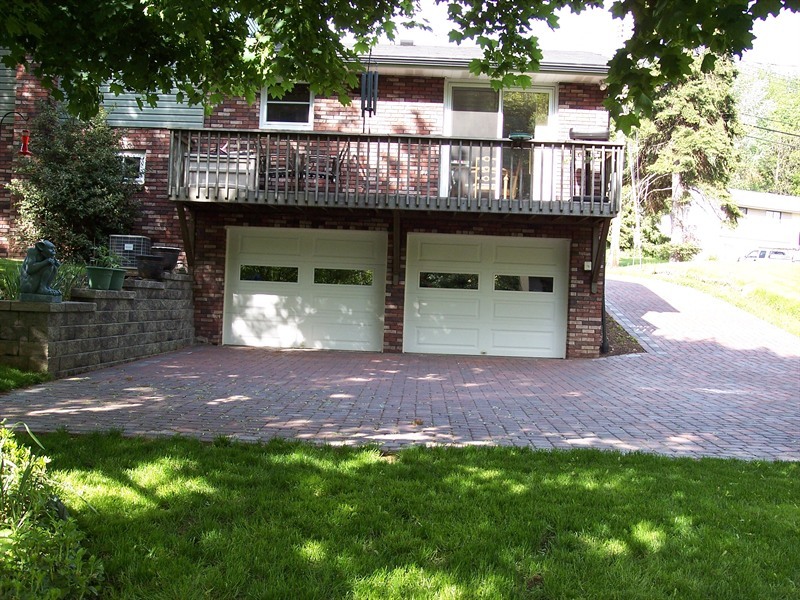 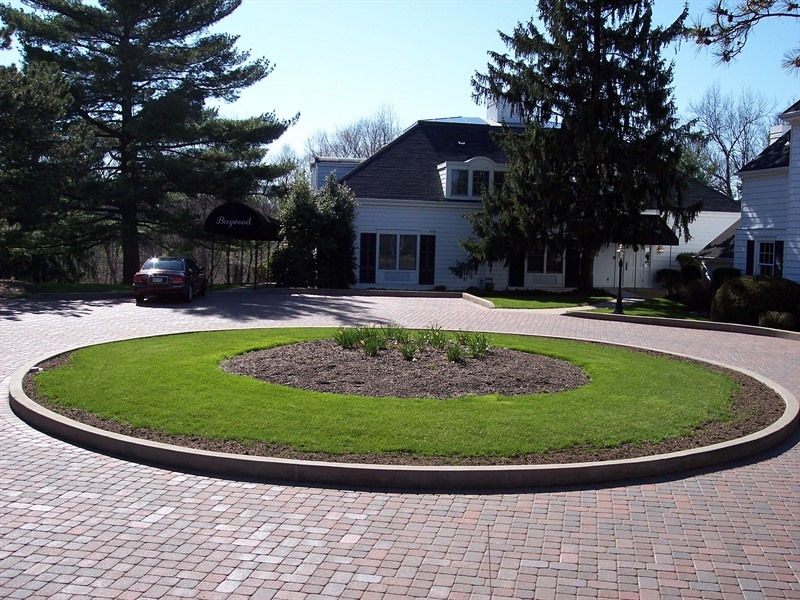 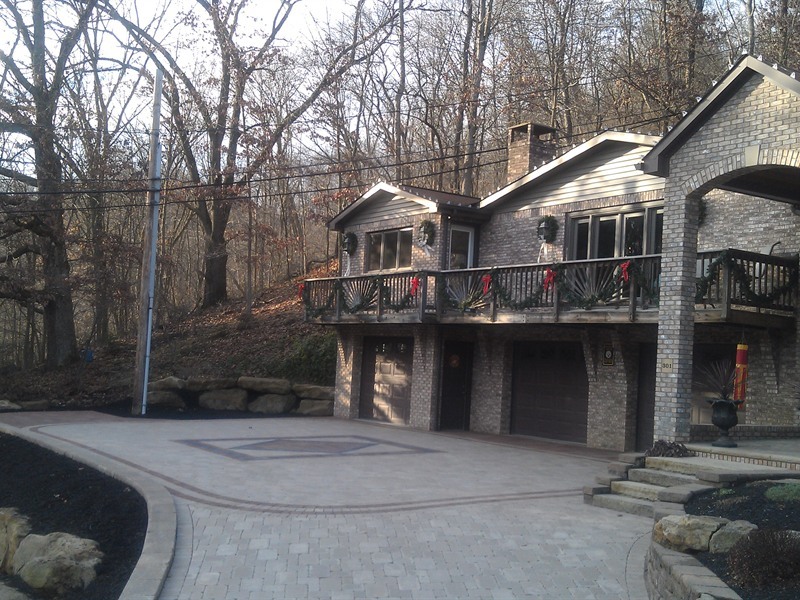 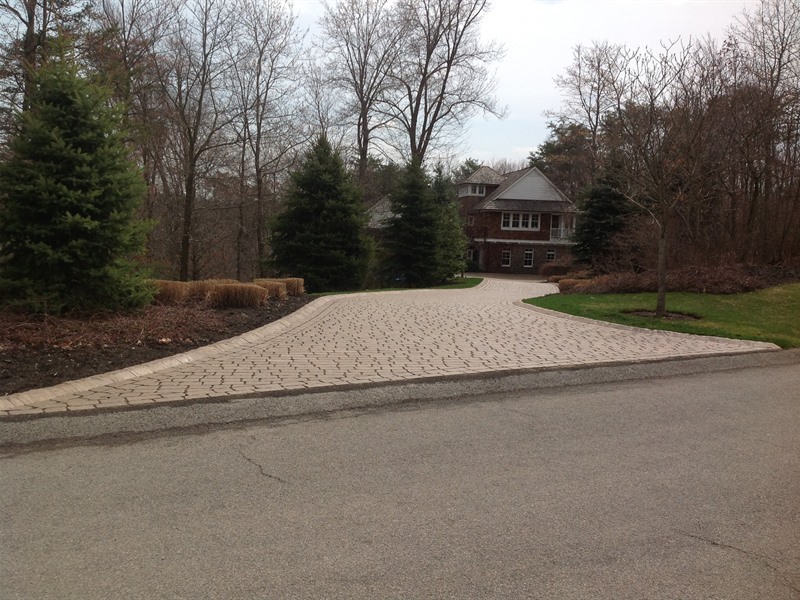 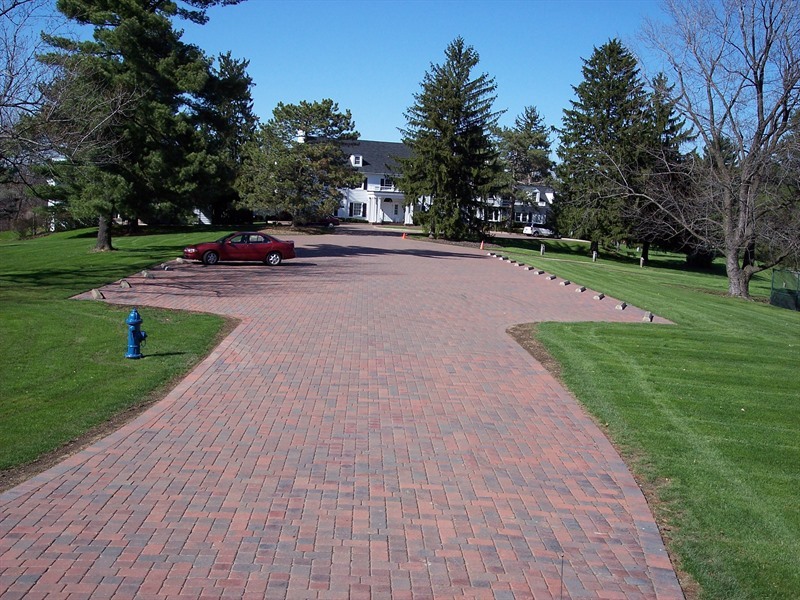 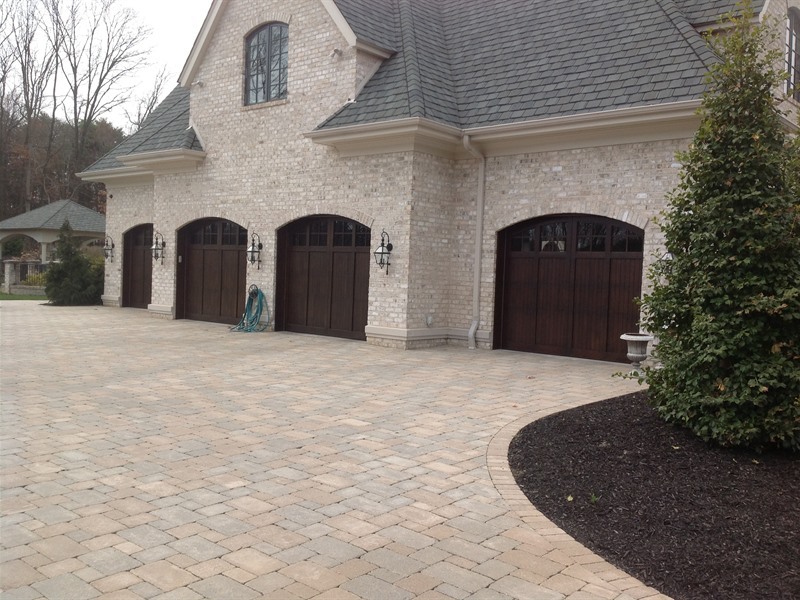 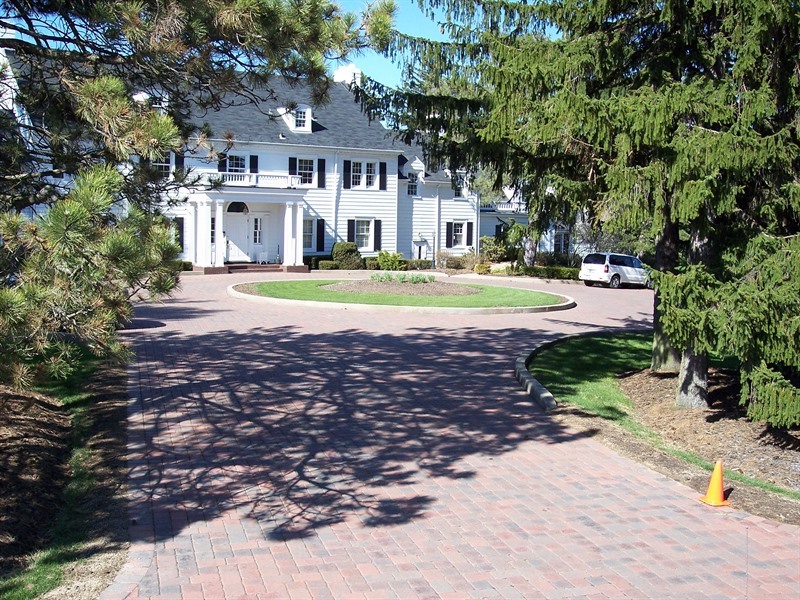 Unlike poured concrete and asphalt driveways, paver drives do not require a curing period. 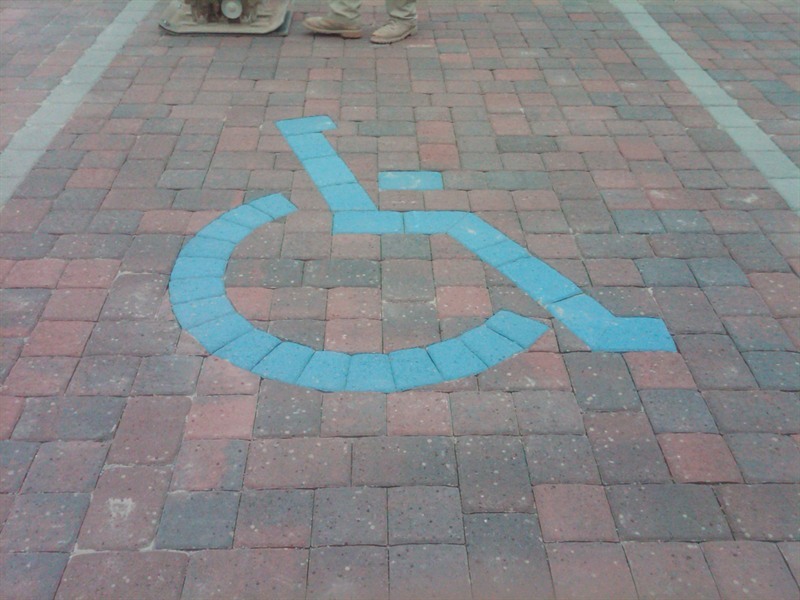 Once installed, they are ready to use. 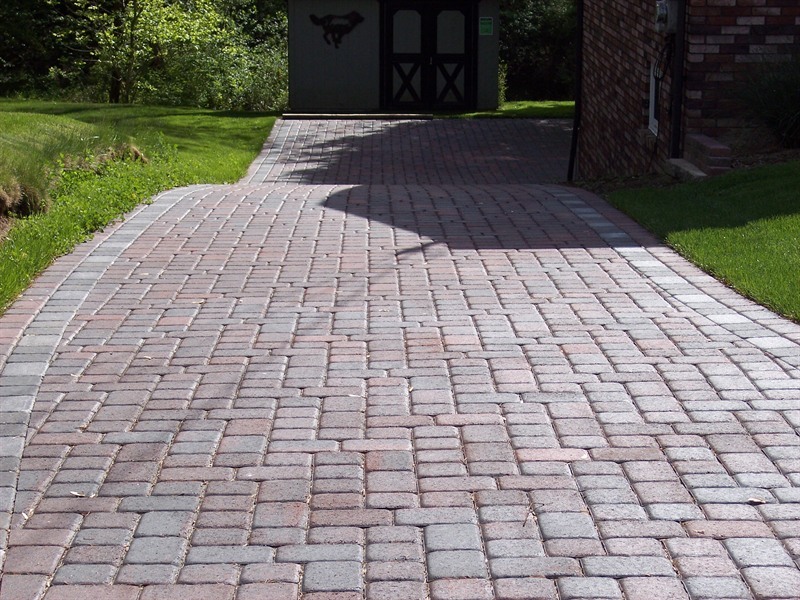 They also offer more traction when wet. 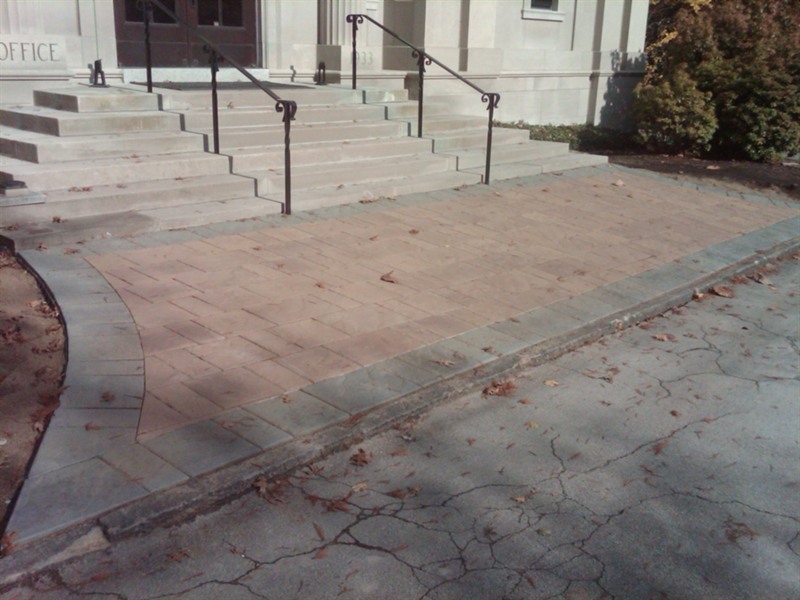 Concrete pavers require very little maintenance. 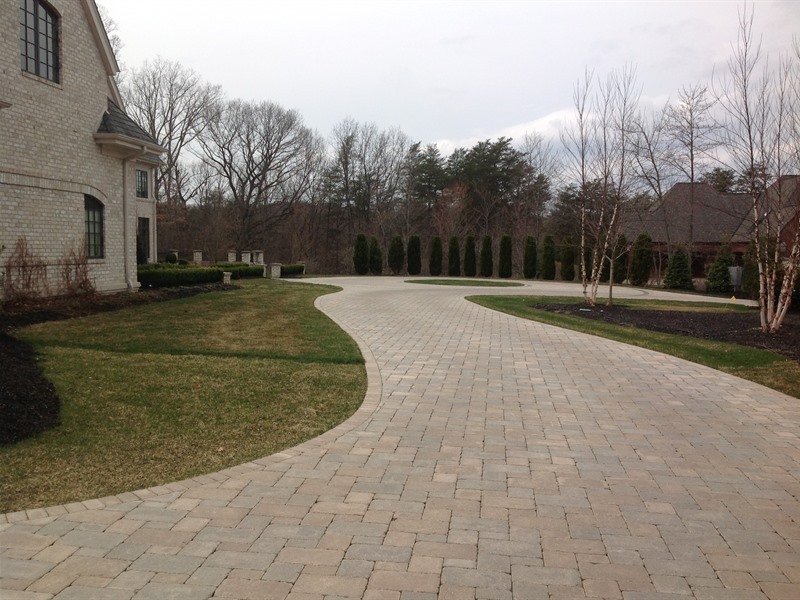 We suggest an occasional sweeping or hose rinsing. 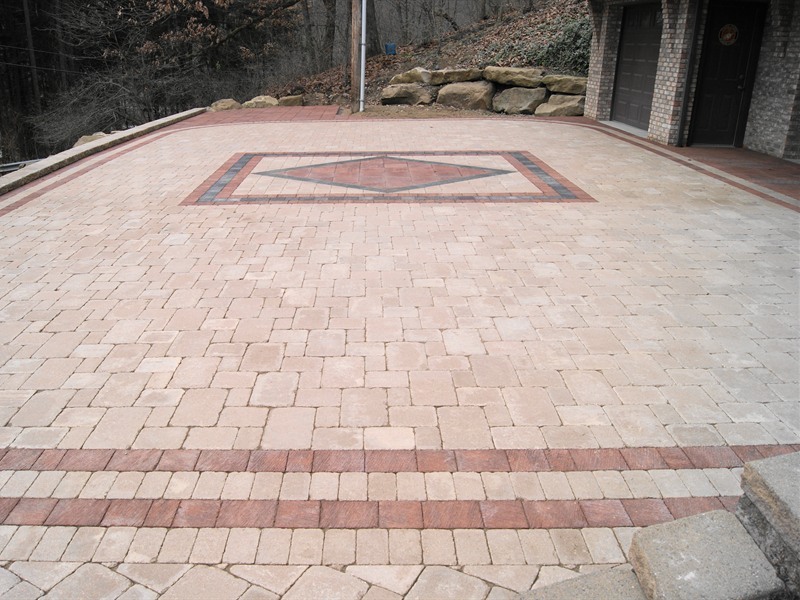 A thorough cleaning/sanding/sealing can be performed after three years to remove any build up of dirt, revive color, and protect the surface. 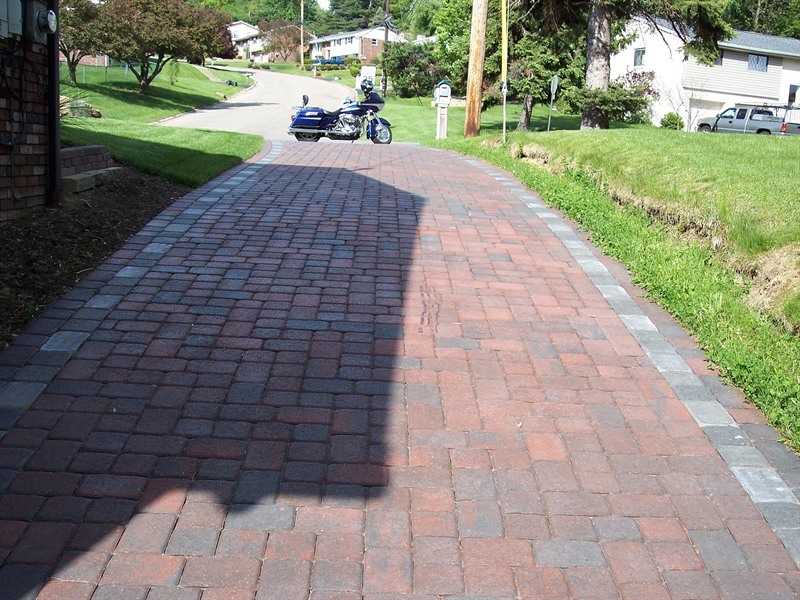 This process should not be done more than every three years to curb any build-up of sealer on the pavers. 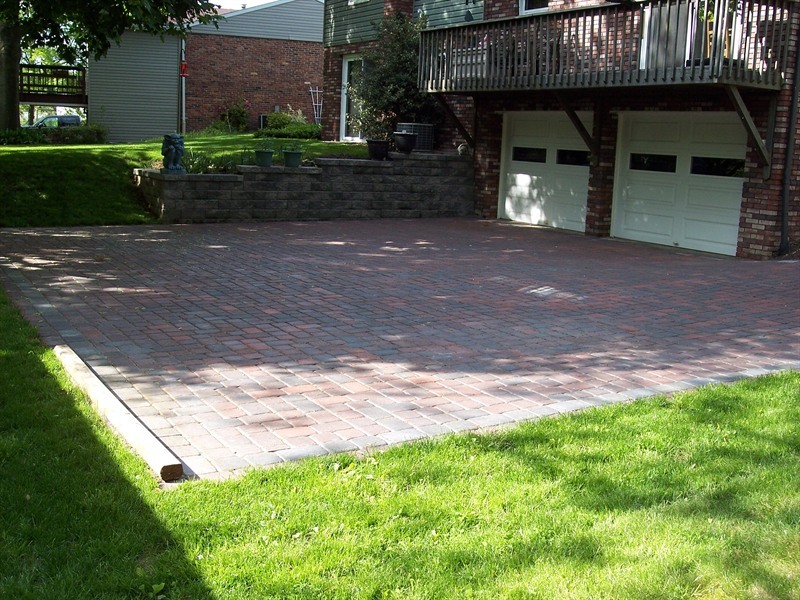 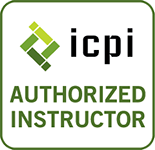 We would love to discuss any question or further explain the installation process with you.  Click an image to see a larger version. 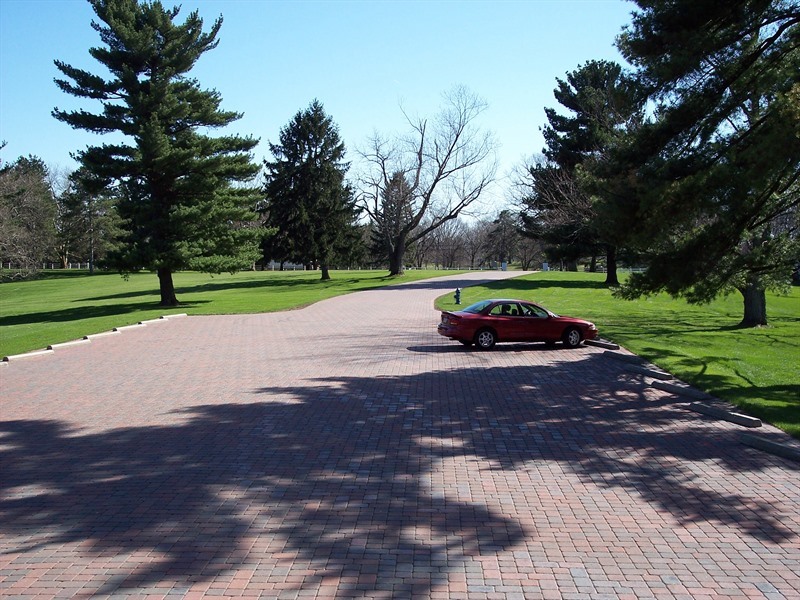 You can then use the arrow keys to navigate the pictures shown on this page.